This tufted headboard can be made with wingbacks or without for a more modern look. Once your plywood is cut to size with predrilled holes for the tufting, staple on your batting fabric for soft cushioning beneath your final fabric. 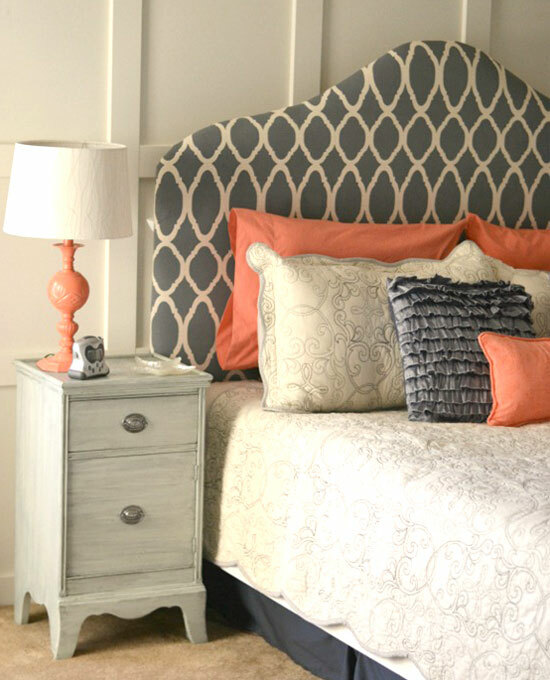 Nailing the nail heads into the edges of the arms give this headboard that finishing touch perfectly complementing the beauty of the rest of your new home. Another take on the DIY fabric headboard uses an interesting pattern on the fabric as the focal point. 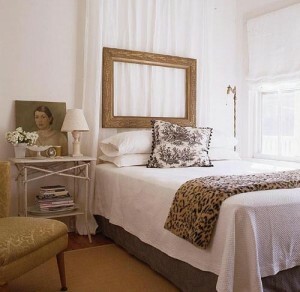 Stores like FabricLand or specialty shops like MacFab (http://macfabfabrics.com)on Queen street west provide an endless array of designer prints and fabrics that will turn your master bedroom into the jewel of your new home. You can also consider using a stencil to paint on the print you love most for a fraction of the cost. 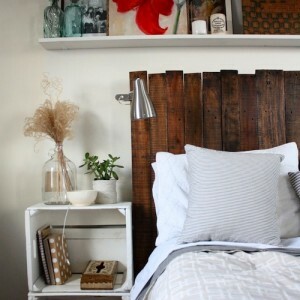 If you love the look of reclaimed wood in your new home, why not use some to make your own custom headboard? A great way to finish the look is to either drill in a pair of sconces or use these clamp lights which can be found at stores like Ikea. This headboard could also work great in a relaxing and rustic guestroom at your cottage. 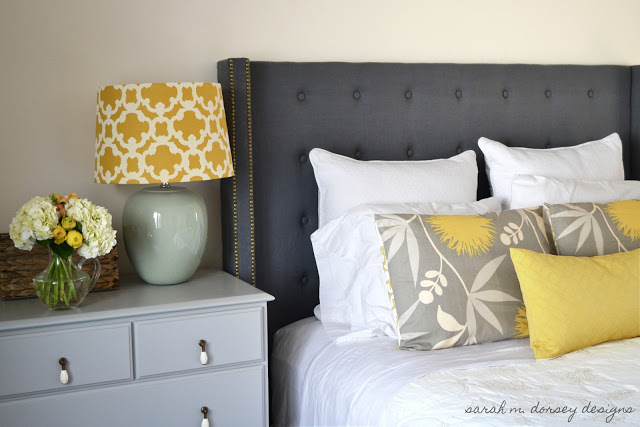 For a quick and easy headboard that can be effortlessly put up and taken down in any bedroom of your new home, curtain panels make a wonderful focal point in place of a headboard. This kind of soft, luxurious and stylish look in your bedroom can be achieved with some drapes and a floating picture frame. 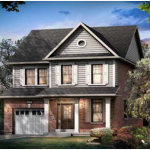 For more inspiring design tips and DIY ideas for you new home, be sure to visit the Mosaik Homes Facebook Page!